Norman Walsh has created a new and exclusive pair of sports trainer inspired by Lexus Design. 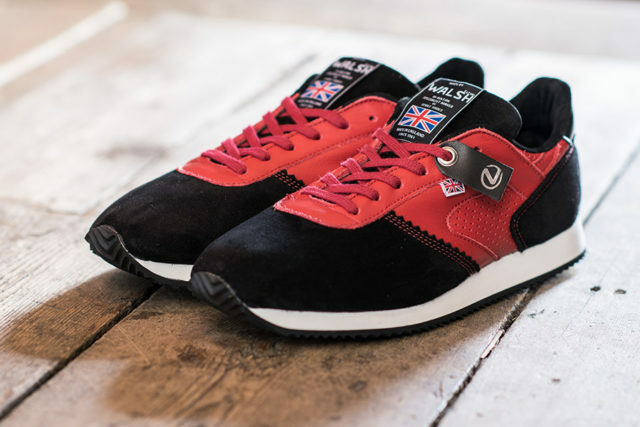 Norman Walsh is Britains last and only remaining sports footwear manufacturer, made in Bolton since 1961. 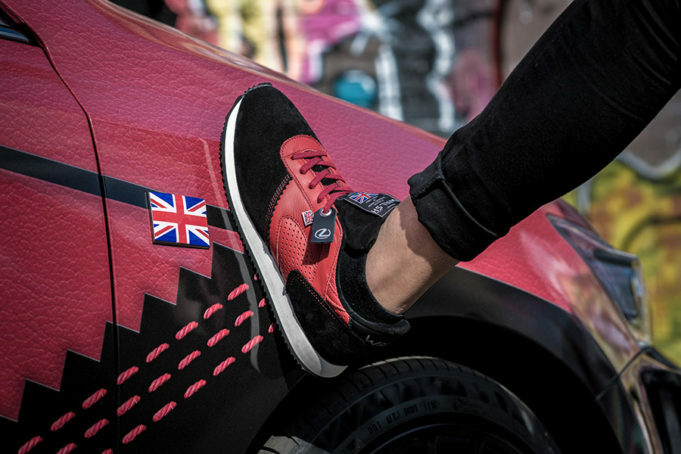 The new Lexus CT inspired hand-crafted sports trainers are out now and available to order from the Walsh website at www.normanwalshuk.com with a RRP of £165 (excluding presentation box). 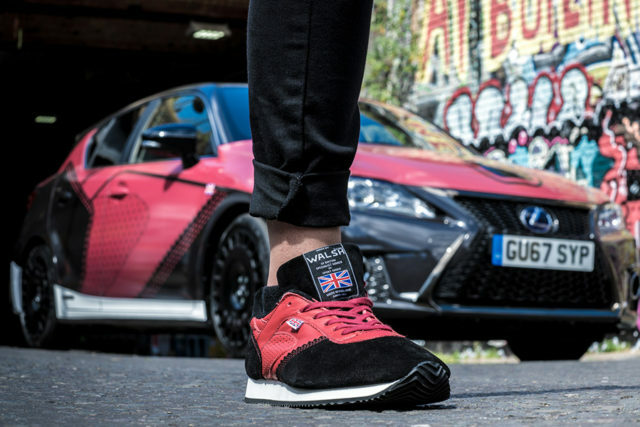 To mark the special collaboration, Lexus commissioned a special wrap to cover the exterior of a CT F Sport with the new trainer design, complete with signature Union Flag detailing that features on Walsh products. The trainers themselves have a discreet Lexus leather tab on one set of laces. 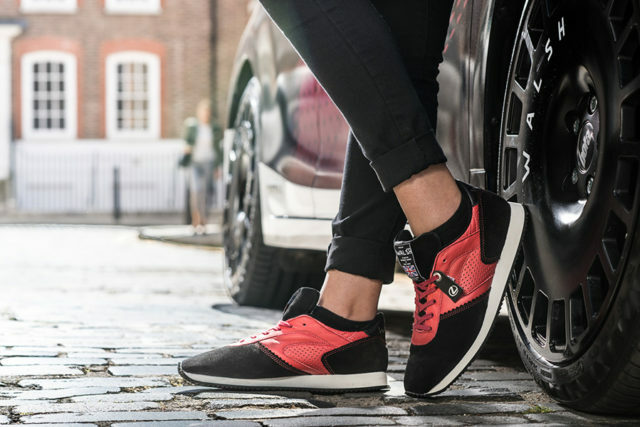 Colourful yet demure, the Lexus CT hand-crafted sports trainers feel comfortable and durable. The first thing you’ll notice is the way they mould around your feet as you try them on. No wastage space, no gaping edges or sides… Just a perfect fit. Plus, you can bask in the ambience of knowing that these trainers have a level of exclusivity. So run (not walk) on over to normanwalshuk.com and order your pair now. Previous articleMica Paris Honours Queen of Jazz Ella Fitzgerald at Quaglino’s 12th Nov!